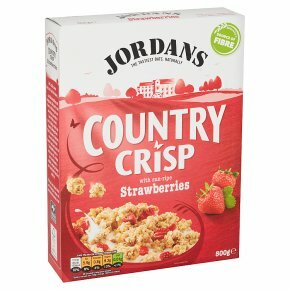 Crisp cereal clusters with freeze dried strawberries. The tastiest oats, naturally. Absolutely nothing artificial. Naturally high fibre. No added salt. Non GM. Suitable for vegetarians.Love Strawberries? Get ready for light and crunchy golden oat clusters with a generous handful of silky-smooth strawberries. And the best part? They stay crunchy to the last bite.